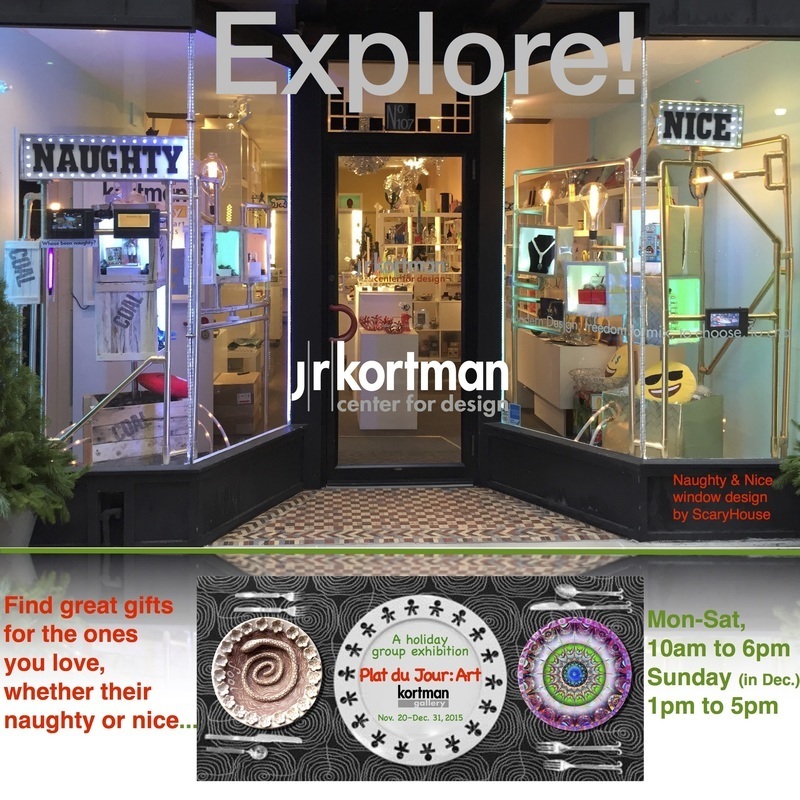 J.R. Kortman Holiday week hours: December 28-30, 11am to 5pm & December 31 (New Year's Eve) 11am to 4pm...We will be closed January 1-3! 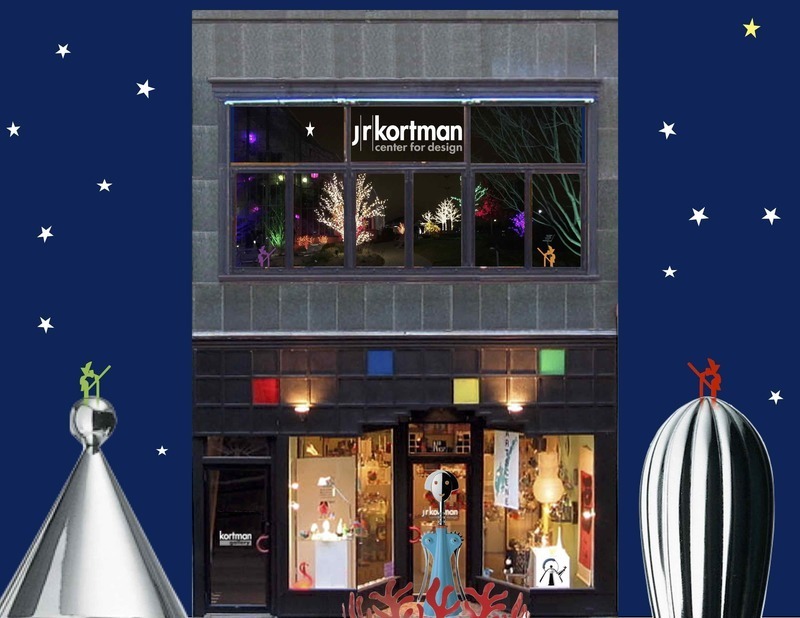 Thank you all for making this such a great holiday season for all of us here @ J. R. Kortman Center for Design! Wishing you a very happy and prosperous New Year! 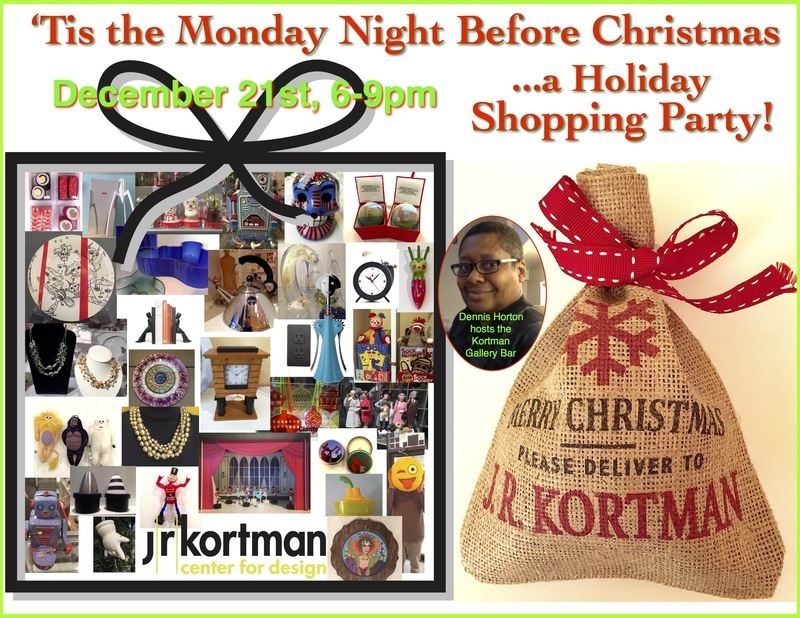 "The Monday Night before Christmas"...a Holiday Shopping Party...Monday, December 21st, 6-9pm! 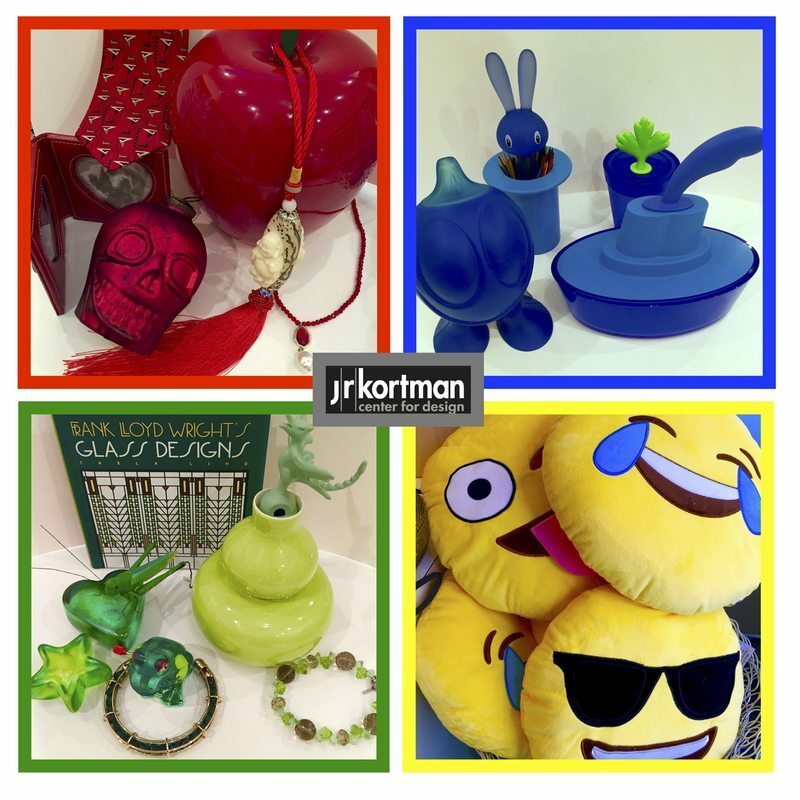 Fun shopping @ J. R. Kortman! a multitude of gifts for you to Explore! You are invited to a Holiday Shopping Party this Monday evening, December 21st, from 6-9pm. We want to help make your Christmas shopping experience FUN. The Kortman Gallery Bar will be open (hosted by Dennis Horton) and we can gift wrap for you. Shop in a relaxed atmosphere...AND when you make a purchase receive a complimentary holiday beverage, and you can reach into Santa’s grab bag and receive a gift from Santa that might be Naughty or Nice...it could be anything from a pearl bracelet, a fun toy, something cool or something cruel...or even a lump of coal!!! Find out what Santa thinks of you this Monday Night before Christmas at J. R. Kortman Center for Design! 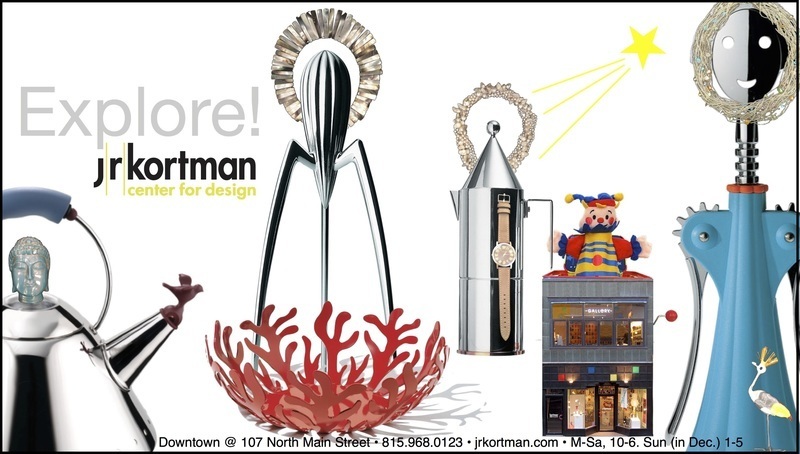 Holiday shopping season opens with extraordinary gifts from J.R. Kortman Center for Design...Explore! Shop Monday – Saturday 10am to 6pm and Sundays 1pm to 5pm. Plates are not only functional, but they have provided a medium for the decorative arts for thousands of years. They can be made from a myriad of materials, come in various shapes and sizes, and be passed on from one generation to the other. They serve as a conveyance for one of our most basic needs...food, yet they can be commemorative, collectible souvenirs, that celebrate places, people, and life events. The Kortman Gallery celebrates the plate as art in a holiday group exhibition featuring 40 artists who have created works of art on or about the plate. The show, titled “Plat du Jour: Art” presents plates and images of plates in a diverse range of artists and media, including painting, drawing, digital imagery, ceramics, and sculpture. 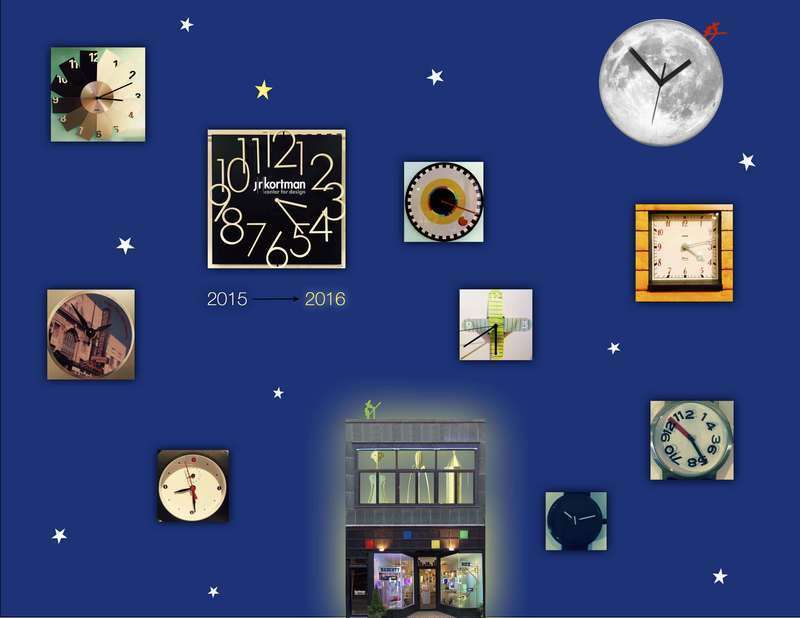 See what plate themed works created by 40 artists have created for this holiday group exhibit, “Plat du Jour: Art” which opens Friday, November 20th from 5:30 to 10pm in the Kortman Gallery located upstairs at J. R. Kortman Center for Design, 107 North Main Street in Downtown Rockford. It will be on display Monday through Saturday 10am to 6pm and Sundays (in December) noon to 5pm. The show runs through December 31st. Exhibiting artists include: Zoa Ace, Michelle Dorr, John Deill, Kyle Wolfe, Becky Pelley, Brian Hierstein, Joanne Gustafson, Sarah Danielle Stewart, Johnathan Kuss, Paul Pinzarrone, Drew Helge, Norm Knott, Margret Hesler-Hynes, Javier Jimenez, R. Scott Long, Betsy Youngquist, Joseph Goral,Lisa Jimenez,Lynn Fischer Carlson, Dave Menard, Jesus Correa, Molly Carter, Pam Kehoe-Peterson, Sarah Reed-McNamara, Valerie Olafson, Karen Harding, Cherri Rittenhouse, Jarrod Hennis, Britney Lindgren, Michael Bugler, Leslie Arbetman,Matt Vincent, Jeremy Klonicki, Louis Recchia, Jeanne Ludeke, Barry Treu, Michelle Dal Pra, Stephen Warde Anderson, and Ellie Pinzarrone. .For more information call 815-968-0123 or visit www.jrkortman.com. 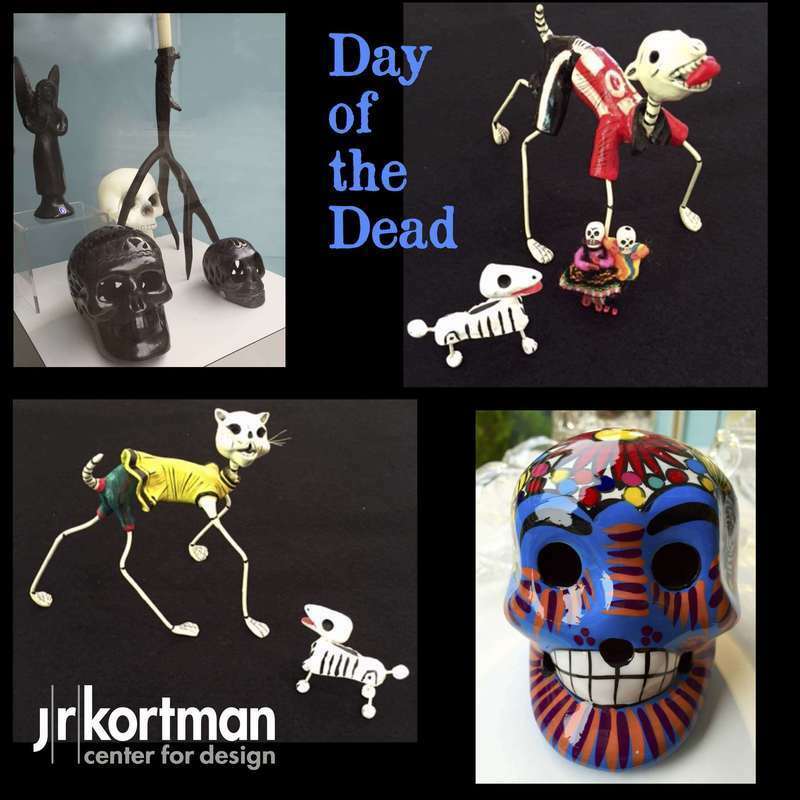 Preview the J.R. Kortman Holiday Jewelry Collection First Friday, Nov. 6th, 6-9pm upstairs in the Kortman Gallery! 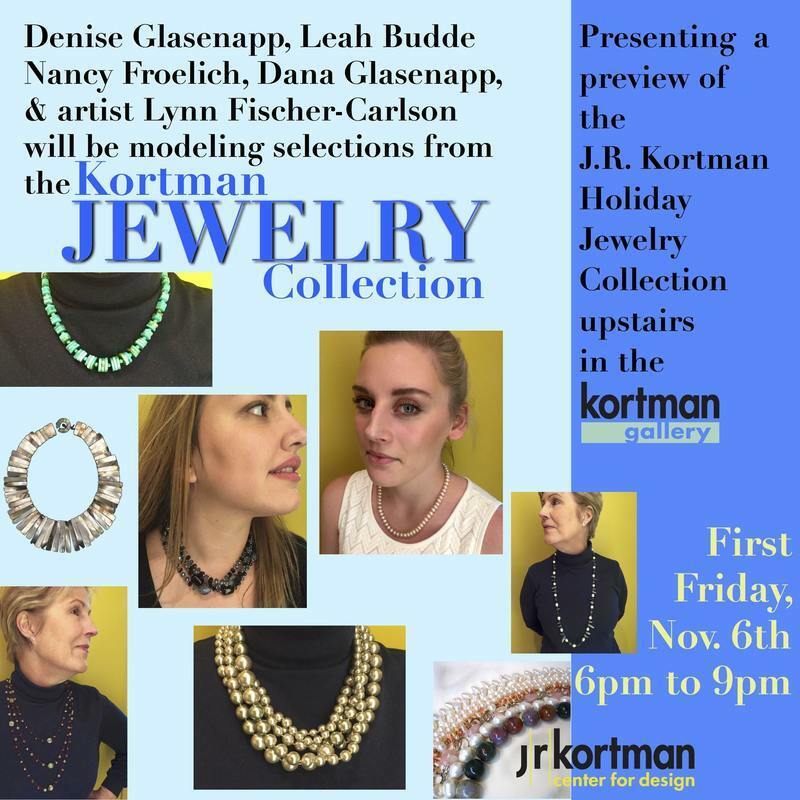 First Friday, November 6th, Denise Glasenapp, Leah Budde, Nancy Froelich, Dana Glasenapp, & artist Lynn Fischer-Carlson will be modeling selections from the the J. R. Kortman Holiday Jewelry Collection. We have just returned from the Pearl & Jewelry markets in Shanghai and Beijing with new and exciting designs for you to see! 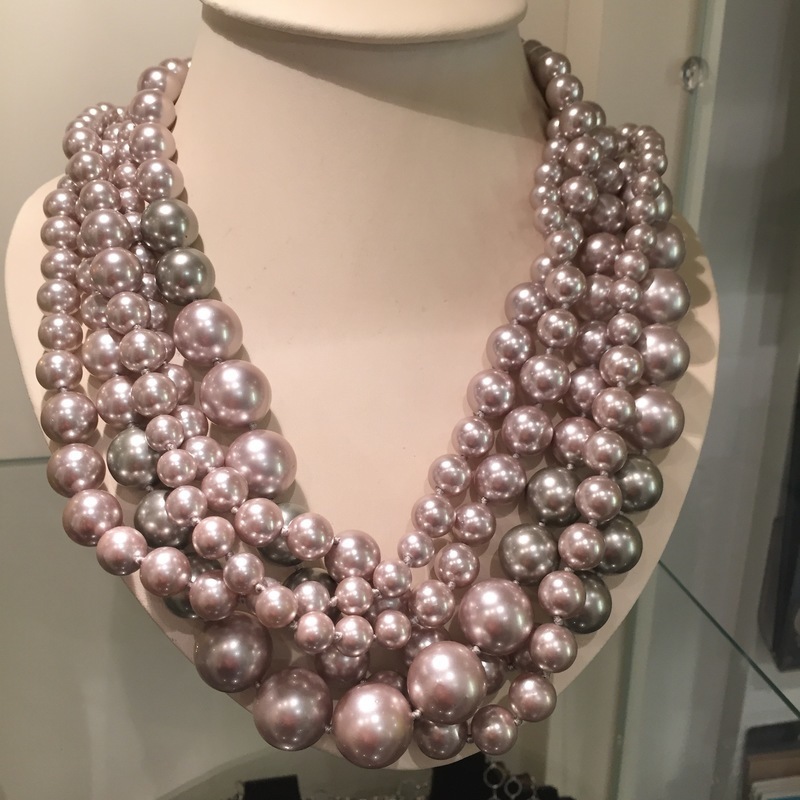 Relax upstairs in the Kortman Gallery over a refreshing beverage served up by ace mixologist Dennis Horton while our beautiful models show off some of our newest and classic jewelry.